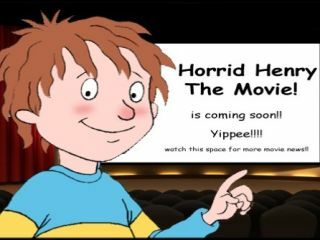 The forthcoming feature film based on kids' favourite Horrid Henry is being given the 3D treatment by British 3D specialists Vision3, shooting in London now. Nick Moore's £4 million-budget film, stars Hollywood A-listers such as Angelica Houston and Richard E Grant, and is set to be shot over seven weeks in Twickenham Studios and at locations across London. Vision3 stereographers are set to work closely with Vertigo Films and director Sam McCurdy, whose previous movie credits include Dog Soldiers and Streetdance 3D. Vision3's Matt Smith will be heading up the production work on the new movie, with Smith's previous credits including TT3D, a feature documentary profiling the world famous Isle of Man TT Motorcycle Race, in addition to working with Vision3 founder Chris Parks on the forthcoming Pirates of the Caribbean: On Stranger Tides – both flicks are due at some point in 2011. Vision3 founder Chris Parks said of the latest 3D kids' blockbuster: "Working on a children's classic provides fantastic opportunities to do genuinely creative and fun 3D. "From a technical point of view our priority is to ensure both a smooth 3-D workflow and a comfortable and consistent viewing experience. "Keeping in mind Horrid Henry's comic strip origins we're intentionally using 3D card-boarding as a creative tool, working to bring some of the layered feeling of cartoons to life on the big screen." The 3D team will be using Element Technica's Quasar rig, and shooting on Reds supplied by Take2 Films.